The Austin Fire Department needs your help to better protect every member of your family. AFD's pet oxygen masks are wearing out and need to be replaced. One Austin firefighter, who used a mask to save an old cat, knows the masks make a life-saving difference when fires break out. "You're worried about getting out or getting your family out. You may not be able to find your cat hiding under the bed or your dog hiding in the closet. So sometimes they get left in there, trapped in there, and they can't get out," said Austin firefighter Andrew Jackson. "These (pet oxygen masks) come in real handy if we get them out and they're still breathing." On Wednesday, Jackson was called to a south Austin house fire on Dillion Hill Drive. "We knew at the time that there were still pets in the home," said Battalion Chief Thayer Smith. Firefighters knocked down the fire and found an 18-year-old cat named "Kitty" unconscious. Jackson took it from there. "It was still breathing after being in there that long, so it still had a shot," said Jackson. For 45 minutes Jackson kept this pet oxygen mask sealed to Kitty's face. At first there was no response, but before long both Kitty and the firefighter were back on their feet. "And it was standing up meowing by the time we put it in the cage," said Jackson. Kitty survived thanks to the pet oxygen masks that can be found at every Austin fire station. Station 36's mascot helped with a demonstration. "You slip the snout and the mouth inside and it forms a seal around the outside," said Jackson. But AFD says too many of the rubber seals are losing their elasticity. "They kind of just get brittle and fall apart," said Jackson. The masks were donated more than five years ago and AFD doesn't have the money to replace them. If pet oxygen masks wear out firefighters don't want to have to use masks that were made for human faces. Those masks don't fit a pet's snout. There are gaps at the top and at the bottom and that means the dogs, cats and other pets are not getting the right amount of oxygen that could save their lives. 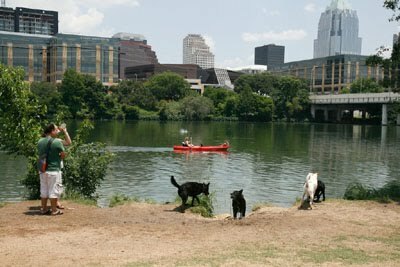 It will cost about $5,000 to put a set of 3 pet oxygen masks at every Austin fire station. Jackson knows if they can find the money it will be well spent. "It made a difference at the scene Wednesday. You may just be able to give them the kick start they need," said Jackson. Thursday, a fundraising account was set up on CrowdRise.com to raise $5,000. 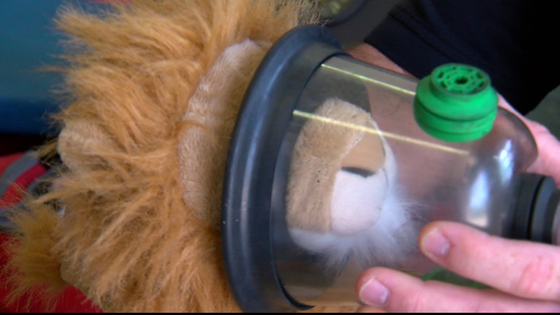 Click on this link, Pet Oxygen Masks, to get more information on the fundraising effort.